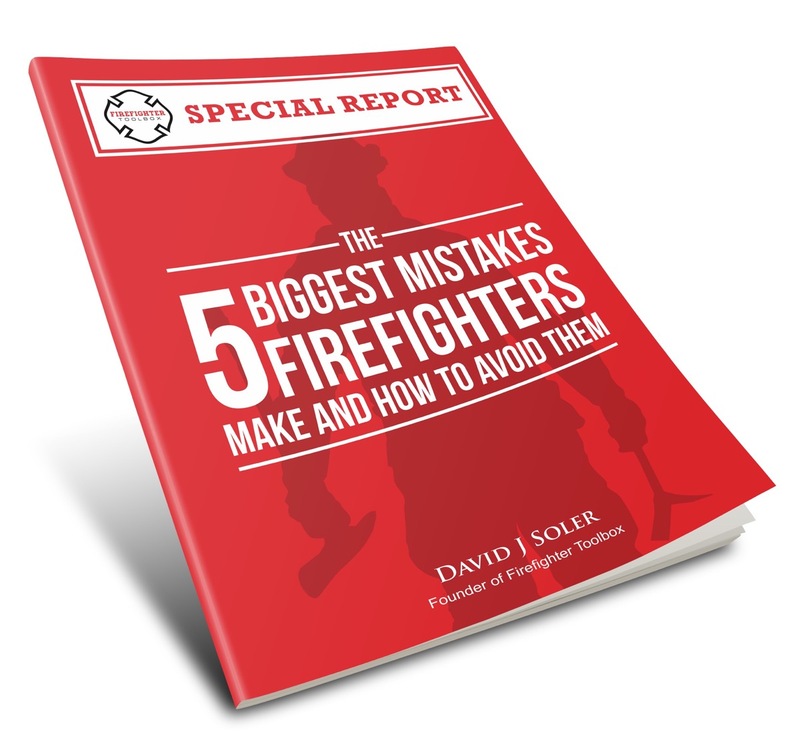 The ordinary “door chock” is an essential tool that should be carried by all firefighters regardless of whether they respond as an engine or truck company. They are often overlooked as a great tool, probably because they are so simple, but as we will examine here in this article they not only come in a multitude of types but also have a multitude of uses. Without a doubt the simplest, cheapest and most widely carried chock is the ordinary wooden wedge. They can be carried in your pockets but you will also frequently see a rubber inner tube stretched around someone’s helmet with chocks placed in there. “Cherry bombs” are simply a piece of wooden dowel with a nail placed in the end and bent over. Other types you will frequently see are commercially made of metal formed in a “V” with a piece to hang over the door hinge. Steel spring clips that carpenters use or even a standard ten penny nail can be a door chock if used properly. A bungee cord can be used to hold open screen doors. So how are all these different types of chocks used? 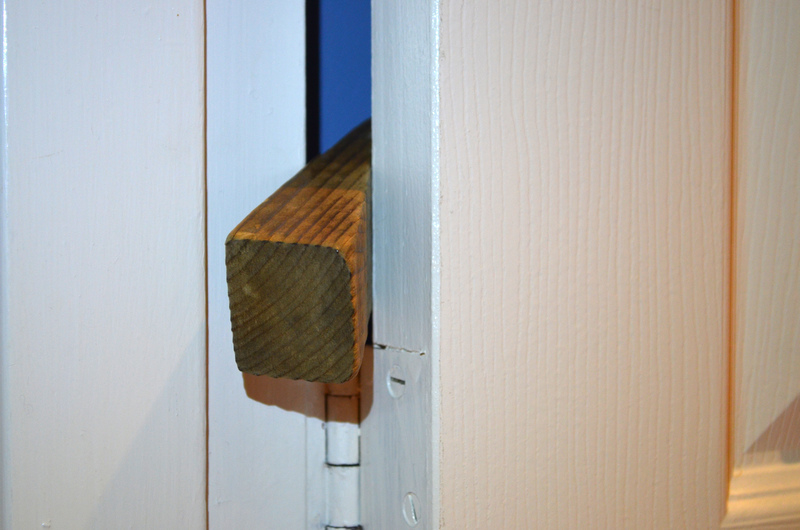 Wooden chocks are typically placed under the door to keep it open, similar to a door stop in your home. This works fine in most instances; however, my personal preference is to place the chock above the bottom hinge of the door. Any door that you pass through that you do not want to close behind you should be chocked by this means. Cherry bombs and the commercially made metal chocks are both used in the same fashion: They are hooked over the bottom hinge of the door preventing the door from closing. 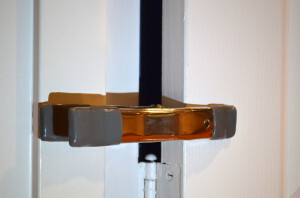 The steel spring clips are generally clamped on the back of the door keeping it open. 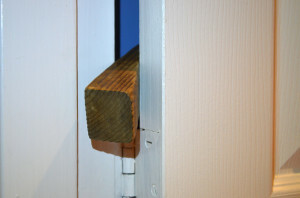 A nail can be placed in one of the hinge screws and the door pulled closed slightly; the nail bites into the door thus keeping it open. The wooden chock is still my go-to. I have tried the others but for the price (if I forget it or lose it I can just make more out of some scrap wood) they can’t be beat. Plus they have a variety of other uses which we will look into now. 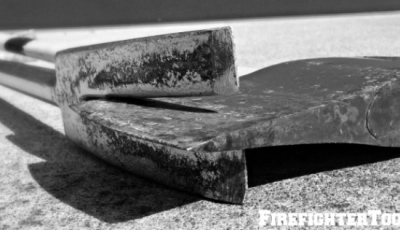 A wooden chock is the perfect complement when you are conducting conventional forcible entry. Many times you will have to reposition your tool to get added leverage. If the door is tight (being held by multiple locks), when you remove your tool the door may “spring back” on you. The perfect solution to this is to reach up on your helmet or into your pocket and pop a wedge into the purchase you have made. The door will stay where it is, allowing you to easily reposition your tool to continue work. If you happen to run a water flow alarm and find a sprinkler head has been activated, two chocks pushed into the head from opposite directions can greatly reduce or even shut down the flow of water. 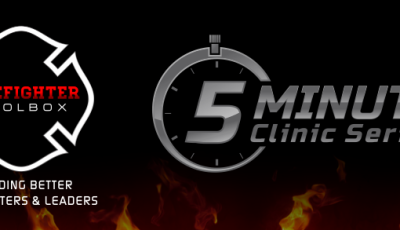 An EMS alarm in a large building can make it difficult for additional arriving crews to easily find you. Chocking the doors open as you go enables the additional manpower to simply follow the open doors to find you. In addition, it eases patient removal on the stretcher because doors do not need to be held open for the stretcher to pass through. 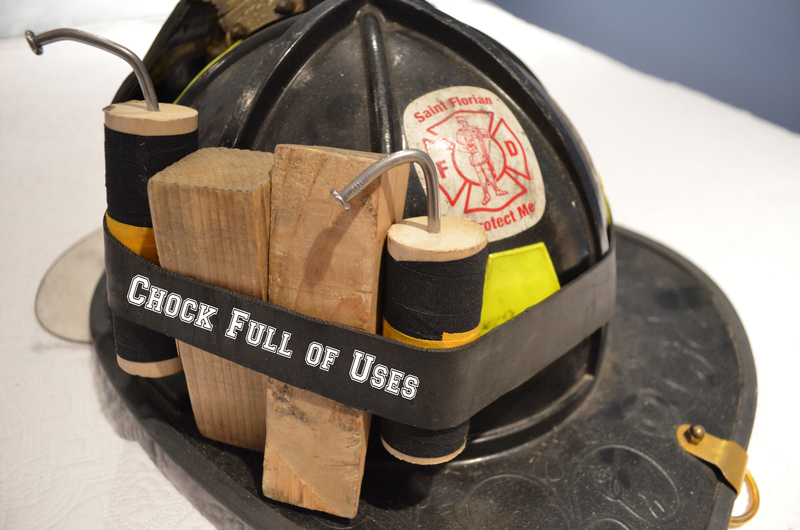 As you can see, the door chock is an important tool that every firefighter should carry (more than one is a necessity, I carry 4-6). They are many more uses than we have touched on here, so if you have any uses to add, please share them in the comments section below. 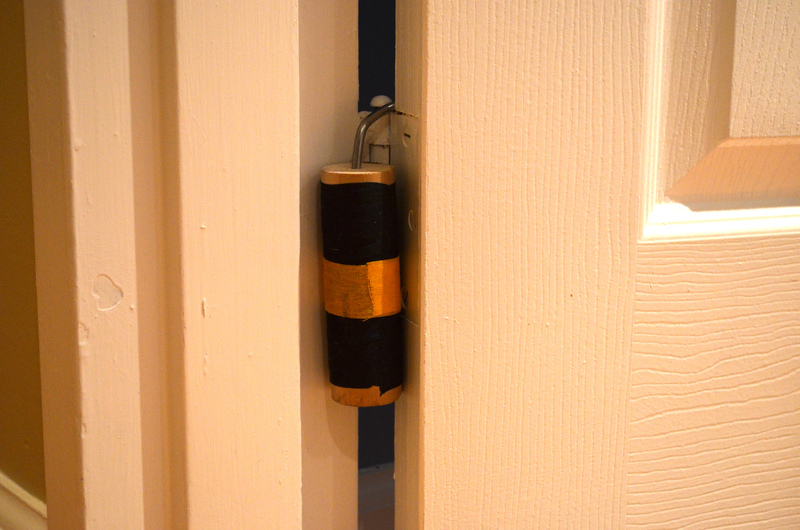 I have used wooden door chocks for years and I have just started using nails and I really like those due to them being so cheap also. I have tried the cherry bomb but havent had much success do yall have any tips? Hi Nate, thanks for the comment. What was the problem you ran into with the cherry bomb? It would kickout especially on a door if it got bumped or with an automatic closer. It only will hold it at a 45 degree angle. Another good choiceis a simple “S” hook with a 2 inch metal ring. Hangs over the hinge like the cherry bomb and it also serves as an anchor point for a search line to be attached. Nice tip Lee, never tried that I will give it a look. Nate, to your point did you have a nail that you hung over the hinge? That will keep it from dropping out if the door was to move. As far as it keeping it open only 45 degrees, I suspect you need to increase the diameter of the dowel that you use. Hey Rob, I’d love to send you a Rescue Wedge to see what you think about it. It’s a door chock, forcible entry aid and anchor for a search line. Check us out at The Rescue Wedge Facebook Page. 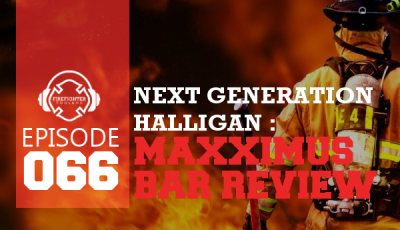 Thanks for the comment Wesley, please email our editor at editor@firefightertoolbox.com. He will be able to work out the details with you. 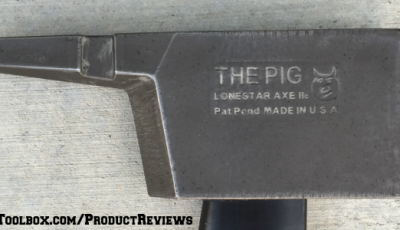 Would you like a review of the Rescue Wedge? Yes I used a nail and it hung real well it just kept kicking out away from the hing holding once the nail held on. I wondered about the diameter of the dowel but a broom handle diameter was recommended in the article I had read. I wondered about using a 2 x 2 instead of a dowel. Hi Nate, can you email me a picture of the one your having problems with if you still have it? Might be able to help better if I could actually visualize it. How would the S hook hold the door open? Seems like an excellen idea, love the multi functional purpose. Just curious as to how it actually holds the door open.